It’s back! After the roaring reception the first two colourways received, Nike today present two new colours of the Flyknit Ultra. The next chapter of Flyknit. It’s only been two months since Nike added Flyknit to the Vapor silhouette for the first time ever and now they ‘Lock in. Let Fly’ once more by introducing two more ultra limited edition colourways. 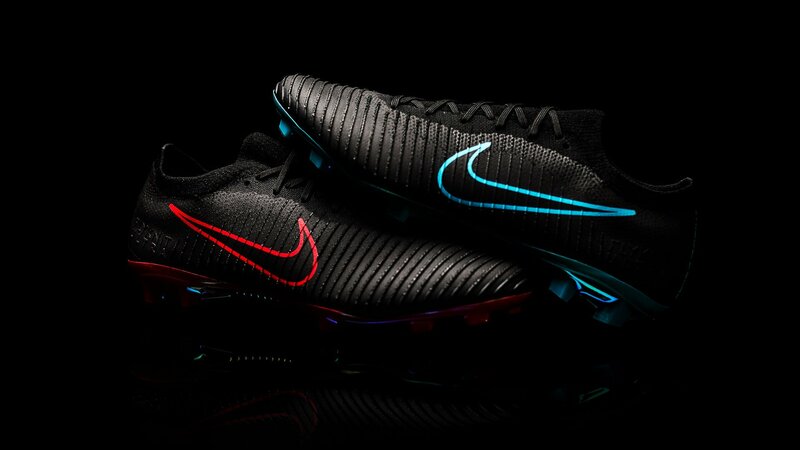 They are arguably even better looking than the first set, as Nike bring their ‘Fire & Ice’ Pack inspiration from their regular boots and transfer them to these unique boots in a major way. There is no longer any doubt in our mind about what the Nike Flyknit Ultra symbolises and means for the future. They are a peek into the future of Flyknit and how Nike will use their iconic technology on football boots in 2018. It’s a bold prediction, but the way they have discovered how to apply the NikeSkin “coating” to every Flyknit thread has such a mark improvement on the upper and they must know they are onto something truly game changing. The Nike Mercurial Flyknit Ultra ‘Play Fire’ & ‘Play Ice’ are set to be made available on unisportstore.com on the 28th of November. Sign up right here. The quality and performance of a football boot is greatly influenced by the way the construction fits your foot and the Flyknit Ultra upper feels lighter and stronger than any knitted football boot I have ever tried. Particularly the strength of the Flyknit is what has such a great influence, because it allows the Nike design team to engineer the boot’s construction to be really sharp. The stability enhancing Flyknit upper is also shaped in such a way that it has ribs running all the way up the upper. These ribs in the upper help create friction between the boot and the ball, which provides you with better control. The ultimate fit for clinical class. The Nike Flyknit Ultra ‘Play Ice’ colourway is the only one of the two boots that will be worn by any professional players. Eden Hazard and Luka Modric are both planning to rock the chromed out blue boots during the Champions League games this midweek. Personally I prefer the Fire version and with stock numbers completely even it will be interesting to see, which one gets sold out first.